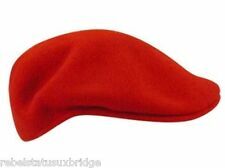 Adult /Ladies Kangol Beret Hat 100% Wool Made In The UK. One hat for sale only light grey colour left. Hat size 54. Perfect for cold mornings, the type of hat that goes with everything. Plain Winter Beret / French Autumn lovely Beret. 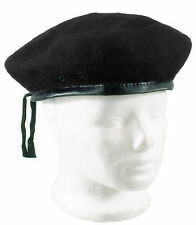 Elastic edge lining to keep beret secure on head. 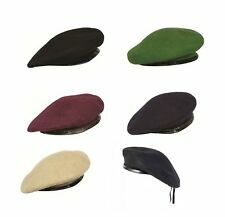 1 x Beret Hat. Girls Fashion Hats One-size, 100% Wool. Here is a British manufacturer, committed to the manufacture of best goods for you, bring convenience, comfortable life. 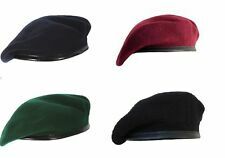 100% Pure Wool Fashion Beret - Dark Blue - Unisex - for Men & women. 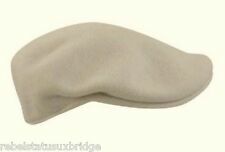 Classic Kangol Ivory showerproof wool beret made from 100% wool. 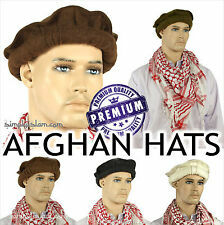 This beret is cheaper than usual as it has a couple of marks in the material that are shown in the images. Colour is ivory. Insignia armbands and belt. Royal Engineers Béret and badge. 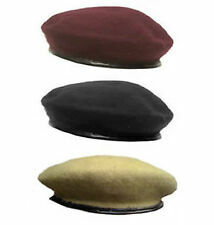 Black Beret by Laulhere of France. Alpin -Beatex Prod. 100% pure wool with a poly cotton lining. 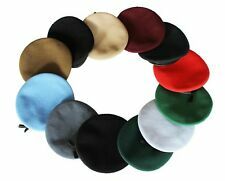 Kangol Beret Hat 100%% Wool Made In the UK.